A little something I made while at work. I'm actually not much of an environmentalist, but I couldn't help myself when I got the idea after reading an article. But its true oh so true. I love this. Thanks for sharing it. I have been writing about this for over a decade with many calling me a "Debbie Downer or Negative Nancy" Thanks again for this! aww wish sweden was here heed laugh so hard since the most of our problems is just the fact that we are becomin more lazy. and we are overpopulating the entire earth which has never been done before by a single species. This is perfect and explains everything. I love it!! YOU made this? I first saw this in my school. 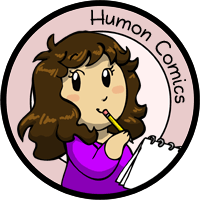 Now for a little detective work to see who else watches Humon comics. Aha, so this is where that comic is from! I saw it somewhere else and really liked it.